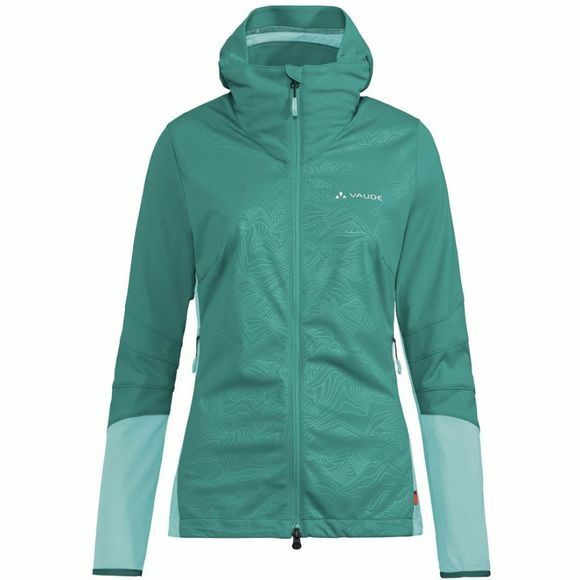 Alpine multi-talent: lightweight softshell jacket with hood. The Croz Softshell Jacket is suitable for year-round use in the mountains. 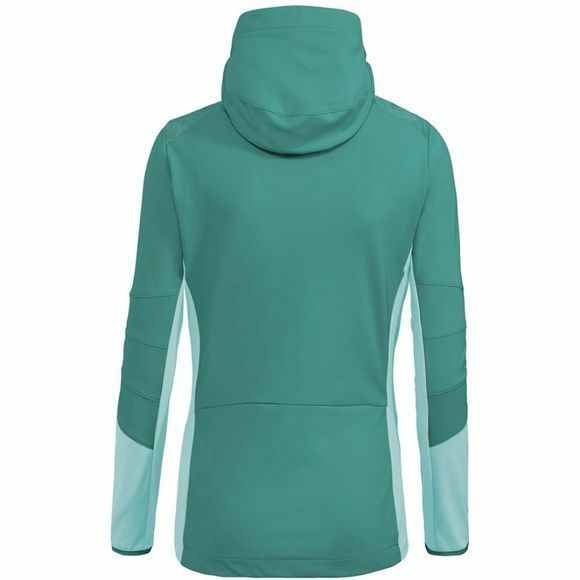 It combines the freedom of movement and comfortable microclimate of a stretchy softshell fabric with the reliable weather protection of waterproof 3-layer softshell. Absolutely waterproof at exposed areas and where your pack can rub, such as the front, hood and shoulders. The other areas such as the back and forearms are less exposed to the weather. Thanks to a DWR-treatment, these areas are highly breathable as well as wind and water-repellent. The cut is adapted to the needs of mountaineers. The articulated elbows and hood were inspired by the armadillo. The jacket won’t slip out of your harness, even when stretching out for your next hold; the adjustable hood is fully helmet-compatible. Ideal for mountaineers who want to cover a wide range of alpine activities with a softshell jacket.